I meet a lot of gorgeous families as a Kelowna Newborn Photographer, and I was thrilled when the Martyn Family (who I first photographed last year when they moved to the Okanagan from the Coast) emailed me to announce they needed to hire me again….for a new addition to the family! Once the boys left with grandma, Zeke continued to be a rockstar, allowing mommy and I to dress him up in all sorts of outfits and try lots of different poses. 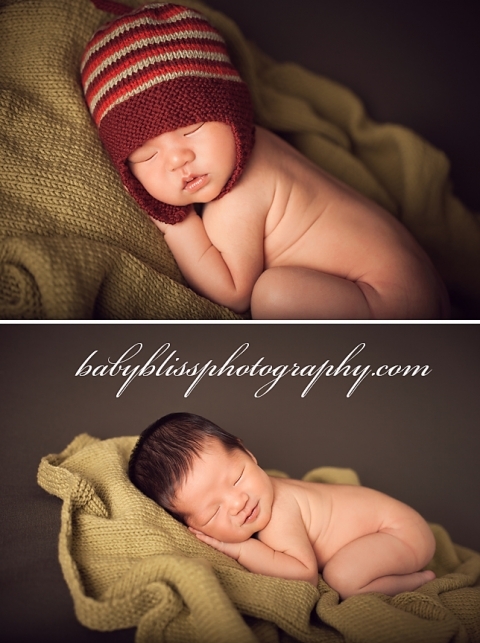 Blessed with a grandma who knits, the final set of props we used were lovingly made by grandma, and I LOVED the green blanket and stripped hat she made for him! Congratulations to this beautiful family of 5. 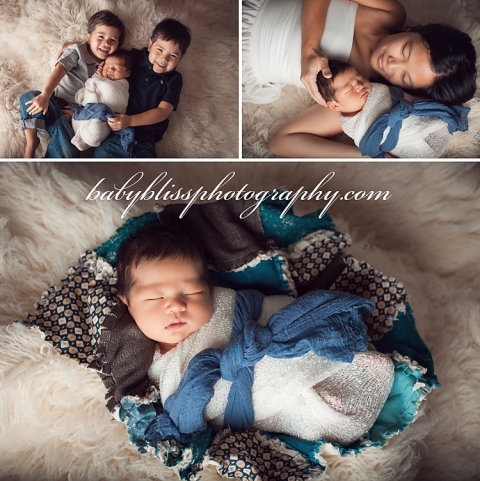 Baby Bliss Photography specializes in Newborn and Baby Photography in Kelowna and surrounding areas including but not limited to Vernon.